How Many Time The World Has to End For Us To Learn Our Lesson? We’re getting closer and closer to that dreaded 2012 Mayan Apocalypse and I see the world is not happy with fearing just that. Every day we hear about devastating storms, earthquakes (and subsequent tsunamis, as the Japanese tragedy still holds the headlines), various religious figures with more or less global authority and recognition terrify us with bleak promises, and so on. Why wouldn’t we be afraid? 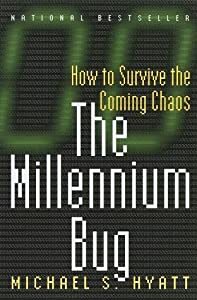 Every time the years change, especially when we come around a round digit (like 2000, for example – and I am sure everybody remembers the psychosis of the Millennium bug or however you want to call it), we fear the world’s going to end. Well, it did not end in 0, it did not end in 1000, and it definetely didn’t end in 2000. Then, some would ask, why would it be different for 2012? Could the Mayans foresee the end of civilization? Well, possibly, they could. Fifty percent. The other fifty is for the impossibility. We don’t need no fancy equations to tell us things may or may not be true, as we don’t need elaborate statistics to prove that in 90% of the cases of one issue or another something happens. If the less likely thing happens to you, then, it’s 100%… Or 10, however you want to call it. It’s obvious that we’re not the only civilization with advanced astronomical knowledge. There were some others who could see far beyond the „Mysterious Beyond” and may or may not have calculated that the world would end (?) on one date or another. Now, what does the end of the world actually mean? Is it Armageddon, the Apocalypse, a global catastrophe that will wipe out all life on Earth? And why would it only imply the Earth? The farther we advance beyond our predecessor’s horizons, the world (our planet? our solar system? our galaxy? the whole Universe?) becomes bigger and bigger by the minute and it doesn’t show any signs of proximity to the boundaries. We are being bombarded with theories, some self-proclaimed fantasies, even dilettantish junk that are pure Science Fiction (and not even the believable SF stuff!) but with the claim of rigorous scientific research. Out of the bulk, the real non-Hollywood theories seem bland or too difficult to understand for the common mind. Nevertheless, the basics of every astronomical claim, be it religious or scientific, is that we’re all part of an enormous thing called the Universe that is true to itself and the pieces are being held apart by some sort of energy (God with all His names and shapes), some would call it a Superior Infinite Conscience. In any case, I’m not saying that we’re meaningless or powerless in the face of enormity, but that we are all small pieces of something (whatever it is) and our power is in ourselves, in each one of us and, ultimately, in all of us. Think of our bodies and the way they are built, think of sand storms, think of ants, think of water… The world is perfectly built and it’s got its innate rules and forms, we can’t change it or force ourselves upon it, it will only strike back with great force. Coming back to the Apocalypse. It seems we’ve still got a Medieval imagination: everything has to blow up, to be completely destroyed with great fire-works and cutting-edge special effects. No doubt such cataclysms do happen, but still… Have you ever thought that The End of the World as we know it has already occurred? In fact, I think it happens every day, every second, or at least when something major (9/11?) happens, and, by Jove, there are a lot of crucial events in one’s life, not even talking about whole societies! Maybe the end of the world has come, maybe it will come. Maybe we won’t even notice it. What the Mayans saw was maybe a more subtle (and, Lord, can we handle subtleties!) change: within ourselves, in the way we perceive things, in our priorities. It could be a religious crisis, maybe an economic crisis (! ), it could be a war, a death, a birth or Virgin Mary appearing in the sky. Whatever happens, expensive special effects may or may not be necessary. That’s what we have to learn: cut the speculations, do something for yourself and for the world. Because if the world’s end does come, how can you help preserve the memory of your life and culture? By talking about it? By writing long and complicated books speculating about what’s going to be? No! Do something for yourself, get out in the world and make the world a better place, whatever that means. As Ophelia might say, Cut the crap Hamlet, my biological clock is ticking, the Universe is also sending us a message. Maybe the Mayans realised that and thought they should forward the mail to us. Can we read it? Can we learn that lesson? Or will we become a myth, like Atlantis?